On the weekend I stayed with a cousin of mine in Sydney, who I had not previously seen since a family reunion about 18 or 19 years ago. There were terrible fires burning over much of the state when I flew in on the Thursday, many of them still raging, and this image shows what it was like. Flights were held up as runways were closed, and the city was covered with smoke, which changed to a rather frightening bright red hue that evening. The devastation caused by bushfires is horrendous, made so much worse by the fact many of them were deliberately lit. However, strangely, my time with family made me forget the tragedies unfolding. The woman I stayed with, Chris, is my fathers first cousin, her mother and my dads father being brother and sister (I think?! ), which makes us cousins too, although we have no idea if it is first cousin once removed, or second cousin, or what! This was a discussion over dinner with some other friends of mine on Saturday night, and none of us were sure, so Chris and I didn’t feel so bad! I’ve literally just had another discussion about it with my dear husband and another friend, and heard a whole new theory on it… Whatever!!! Anyway, although Chris is blond, and 11 years older than me, and in reality we had little to do with each other as children other than a few family visits, my Sydney friends thought we were quite similar in many ways, so I guess the psychology research on nature vs nurture is right. Two weekends ago, I also attended a family reunion on the Dutch side of my family, her side too, and I met about 60 people I had no idea I was related to, some of whom I looked a little like. Chris didn’t attend this particular reunion, but we discussed at length our mutual Dutch and Nordic heritage, of which I know almost nothing. My grandmother died when dad was two, and I suspect because of this, he rarely talked about that side of his (our) family, either because he was too hurt, or knew little himself. Anyway, at the ripe old age of 55, I’m starting to learn a little more about my heritage. I’m not sure now if I’ve just forgotten much of it, or never knew much of it, too hard to know for sure any more as so there is much of my personal history I can no longer recall, things like school events, family events, and girlfriends weddings. Even seeing myself in photos, with people or at events or places, does not always jolt my memory into action. The odd thing about meeting up with family members is seeing either a resemblance in looks, or actions and behaviours. I laughed as I watched Chris running around doing a few jobs on our last day together, as it was truly like watching myself, juggling, trying to fit too much in. Isn’t it amazing Kate how we have people who we think we aren’t related to, but we are, yet we have little to do with them? A bit of analogy about cousins Kate-so a first cousin is your parents siblings children, then your second cousins are you grandparents siblings grandchildren, then your third cousins are your great grandparents siblings grandchildren, then your fourth cousins are your great great grandparents siblings grandchildren. It is very difficult to work out who is who-the family tree is useful though or if your family has a genalogy test. There is a DNA test in New Zealand(maybe in Australia too)where you can find out who your relations are. I have been to a few reunions in my life and my family thinks i should organise one, inspite of not being up to date with family genalogy and who is who. I am close with a few of my second cousins but have nothing to do with some second cousins and nothing to do with any third cousins. Third cousins plus is getting complicated. Chris sounds like a wonderful cousins Kate and so wonderful you are connected-hope you enjoy many more happy times together. I went to a reunion on my Grandma’s side two years ago to commerate 150 years since her family arrived in New Zealand-they arrived in 1866. Oh, another 48 years before the next reunion! Wow, you did pack a lot into your visit – ones heritage with cousins (1st, 2nd etc) plus extended family members can be overwhelming. Do hope someone is working on a written ‘family tree’ . Chris sounds like someone very special – well done Chris. 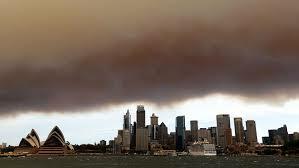 NSW fires awful & affect so many lives. I worked with a woman in an Aged Care Facility in Victoria who lost her home & all belongings in the fires. It was heartbreaking, but the emotional support and material help she got from fellow workers, management & residents was incredible. To see the people being cared for, now caring for her in many ways was amazing. Keep well. I love your blogs.